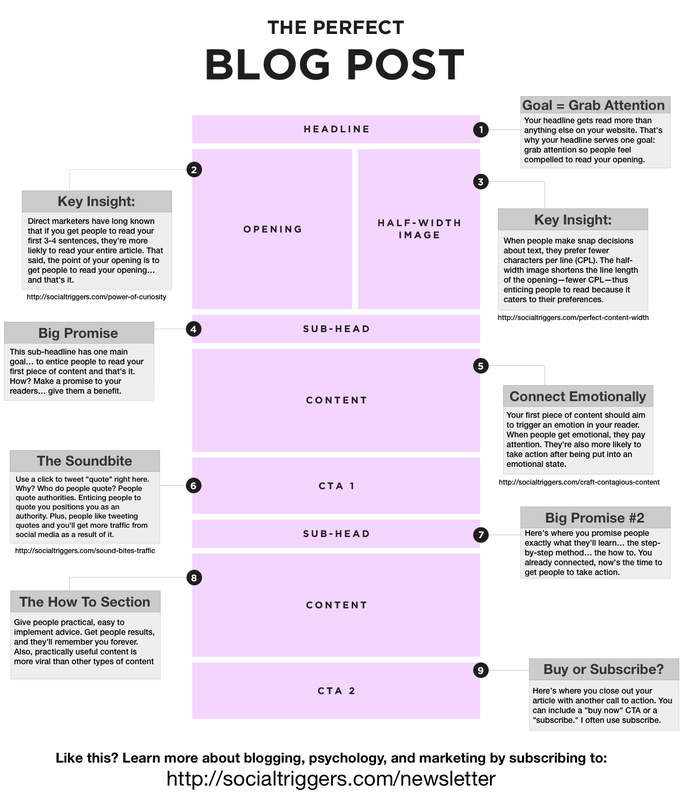 I recently found this helpful infographic from Social Triggers that dissects the “Perfect” blog post. There is a bunch of good stuff in here that gives you insights into the psychology of content marketing. Hope it helps!